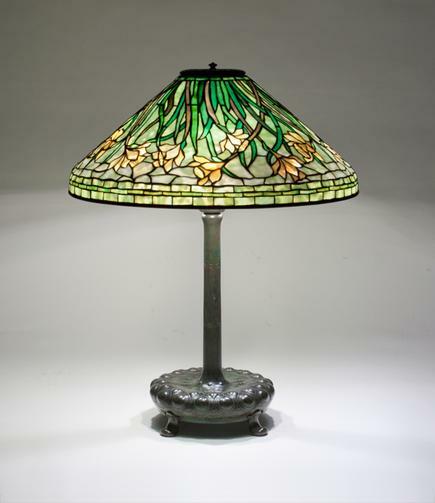 An original Tiffany Studios lamp, comprising an early version of the 20-inch diameter "Daffodil" design shade, featuring simplified yellow daffodil blossoms with artfully selected centers of rippled yellow glass, against a background of mottled opalescent light-green glass. 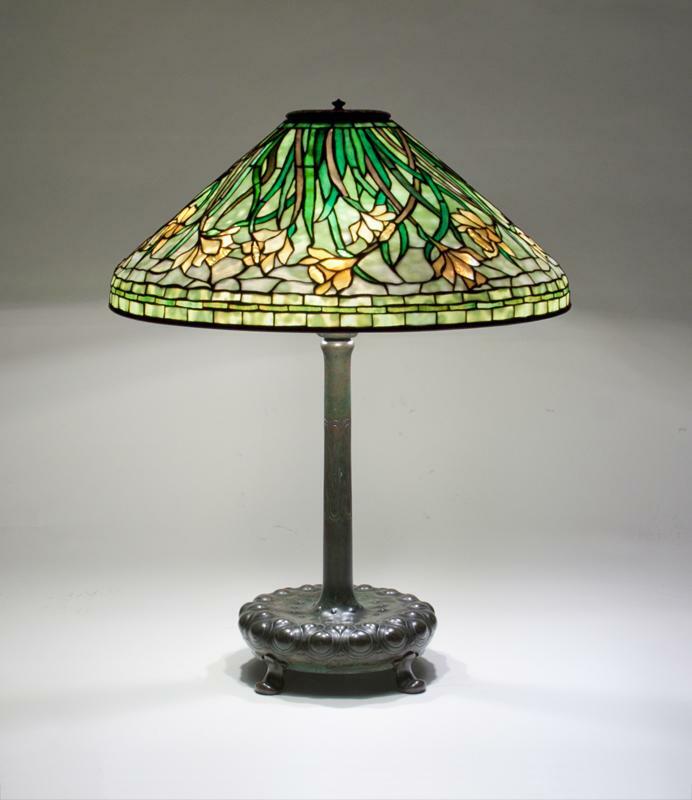 The shade rests on a footed bronze "Decorated Cushion" Table Base, the leading and bronze finish in a rich brown-green patina, with original owner's monogram on the stem. 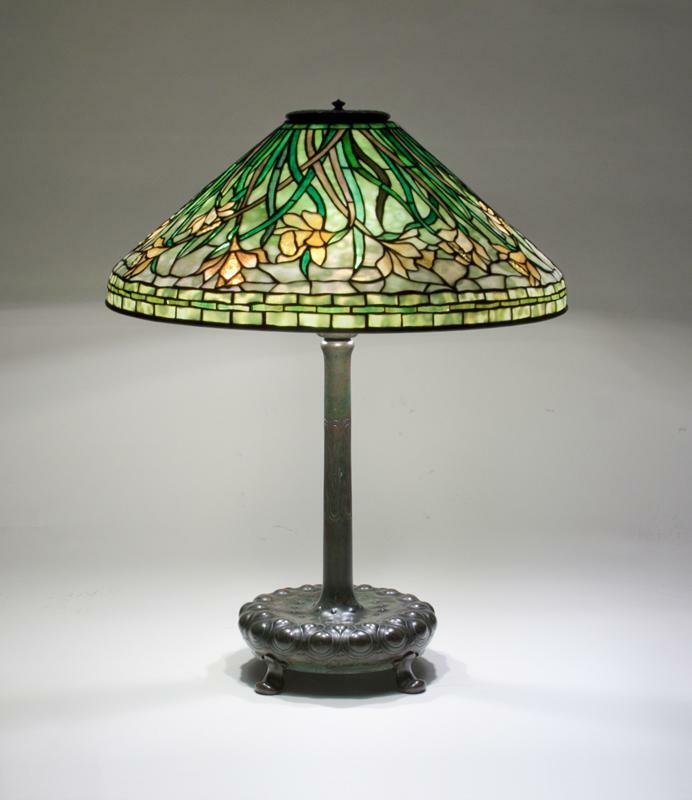 The lamp has an original bronze reticulated heat cap in matching finish.